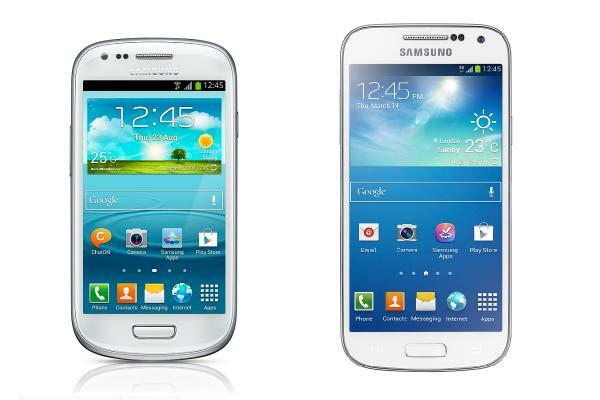 Samsung were the first manufacturer to provide mini versions of their flagship smartphones before other companies decided to get in on the action, and now we have news of the Samsung Galaxy S3 and Galaxy S4 mini TELUS release and price. The Samsung Galaxy S3 mini has been with us for a while now but the carrier has decided to offer the device along with the newer Galaxy S4 mini to its customers. The older of the two handsets can be purchased for $300 without a new contract, while it can be had for free with a two year contract costing $45 per month. The device features a 4-inch touchscreen display at a resolution of 480 x 800 with a dual core 1.2GHz processor under the hood along with 1GB of RAM. Camera wise the handset has a 5-megapixel rear facing unit while around the front is a 2-megapixel shooter, and the device is powered by a 2,000 mAh battery. If you would rather have the later smartphone the carrier will sell you the Samsung Galaxy S4 mini for $400 with no contract, or again it can be had for free with a two year contract on the SharePlus Plan. This features a slightly larger 4.3-inch display at a resolution of 960 x 540, which has a 1.7GHz dual core processor under the hood with 1.5GB of RAM. The S4 mini uses an 8-megapixel camera on the back, while around the front is a 1.9-megapixel unit, with a 1,900 mAh battery supplying the juice. You may be interested in our earlier post that compares the main differences between the two smartphones along with the more expensive Galaxy S4.